County Executive John R. Leopold has announced several new outreach efforts to increase the adoption rate at Animal Control from 87 percent to 100 percent. 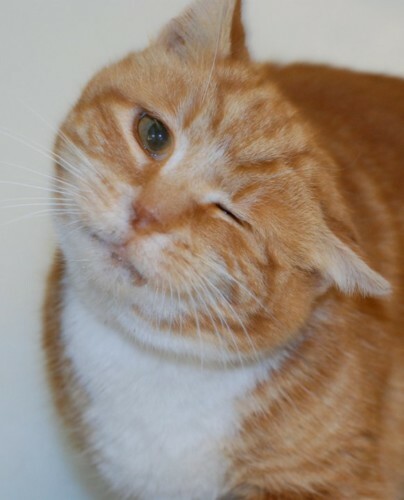 T.C., one of the cats available for adoption) is winking at you. He is an 8 years old altered male.